If there's one thing the new kid knows how to do, it's making friends. Everyone in South Park is willing to befriend the child on Facebook - though they often require some proof of service from him before they'll offer up their fateful friend request. This article will help you track down all 120 potential friends to be found in South Park: The Stick of Truth, as well as steal a friend request from each. Al Gore - Walk past the Bijou Theatre heading east. Al Gore will poke his head out from behind a tree and call you over. Speak to him to receive his friend request and trigger a lengthy side quest. Amber, Cornwallis, Simon, Mr. Hankey, Mrs. Hankey - Complete the quest Dropping the Kids Off. You can trigger it by searching for Mr. Hankey's house in the sewers and speaking to him. Annie - Located outside City Hall. She's being picked on by some bullies. Beat 'em up and she'll be grateful. Bartender - Found in Skeeter's Bar in northwest South Park. Complete Skeeter's quest, Rats in the Cellar, to gain his friend request. Beary, Rabbity, Skunky, Beavery, Mousey, Squirrely, Deery, Woodpeckery, Porcupiney, Foxy, Chickadee-y, Raccoony - Found in the Lost Forest. Enter the forest from any of its rat-infested points on the edge of South Park, then take the following paths: right, up, right, down, right. You'll find their clearing. Accept their 'true lord' to earn their friend request. Big Gay Al - Though you don't physically see Big Gay Al, you must answer a phone call from him while you're inside Mr. Slave. Act quick or the phone will stop ringing. Bill, Fosse - Found on the second floor of the School during the Attack the School quest. Beat up the kids they're fighting to earn their friend requests. Bishop of Banff - Located in Banff, a small town in Canada. Beat him up, then spare him, to earn his friend request. Bradley - Located beside Stan's House, in the bushes. You'll need Gnome Powder to get under the bushes and reach him. Butters - Found outside your house at the beginning of the game. His is the first friend request you'll discover. Chinpokomon Toy Corporation - Find all of the Chinpokomon dolls spread throughout South Park. This article covers their locations. Chris Donnely - He's located in the Elven Kingdom. (Blonde kid, crabby-lookin'.) Speak to him after completing Attack the School. Clyde - Found in Kupa Keep at the beginning of the game. Speak to him first or he'll skip out without befriending you, and there's no way to undo this. Craig - Found in the School. You'll befriend him during the main quest. Dad - Located at your house. Talk to him after completing Attack the School and dealing with the Underpants Gnomes. Eugh. Damien - Found watching a movie at the Bijou Theatre in northeast South Park. He's right beside the entrance, sitting on his own. DogPoo - Found in the Elven Kingdom. Complete the quest Restoring the Balance to earn his friend request. Dougie - Located near your house after first visiting Kupa Keep and being set loose on South Park. Douglas - Inside the pink building between Planned Parenthood and Photo-Dojo. You can reach it with the Alien Probe. Duke of Vancouver - Located in Vancouver, his domain in Canada. You'll get him automatically for proceeding through the quest. Earl of Winnipeg - Located in Winnipeg, a small town in Canada. Help him with his Dire Bear problem to earn his friendship. Esther, Leroy Mullins - Grab the News Office Key from the Post Office down the street and pop the News Office open down the street. Esther is sitting inside on a chair. Bash open the vent next to her, shrink down with Gnome Powder, and wander inside. There's a ladder in here that will take you to the roof, where Leroy waits. Filmore, Flora, Quaid, Jenny, Billy, Sally - Found in the Kids' Park in eastern South Park. You'll have to complete the quest Hide 'n' Seek to register them - though you get 'em all at the same time. Cha-ching. Francis - Found beside Kyle's Garage. Knock down his 'frost giant' and he'll swear fealty. Kinda. Frog King, Sparrow Prince, Catatafish - Found automatically during Beat up Clyde!. I won't say where. General Disarray - Fetch the Chaos Lair Key from Butters' house and check his unit at U-Stor-It. General Disarray is sitting beside the power generator. Henrietta, Michael, Pete, Firkle - Complete the quest line Recruit the Goth Kids. Ike - Gained during the Beat up Clyde! quest. After Ike gets beat up on the roof, use Dragonshout on the lit lighter to smash up a tower and befriend the tot. Jason - Buy equipment from him in the Elven Kingdom. Jessie Rodriguez - Proceed through the Recruit the Girls questline. She'll pop in eventually. Jessie, Nelly, Heidi, Allie Nelson - Located in the girl's hideout. You have to complete Recruit the Girls before you can move around this area and talk to them. Jimbo, Ned - Found in Jimbo's Guns. You have to complete Big Game Huntin' With Jimbo to earn their friendship. Karen - Located in Kenny's House. She's sitting on the sofa in the living room. Kelly Gardner - Head west of your house, past the Bus Stop and onto another row of houses. Kelly Gardner is near an orange home. Kelly Rutherford - Located at the Bus Stop, one screen east of your house. She'll only agree to a friend request if you already have 20 friends. Kenny - Found in Kupa Keep. Complete the short Flower for a Princess quest (there's a Daffodil maybe fifteen feet from Kenny) to earn his / her friendship. Kevin Stoley - Found in his room, in his blue house, a short walk east from the Community Center. You must complete his quest, Vulcan Around, to befriend him. Kyle, Cartman - You'll gain these two as part of the main storyline. If you side with the elves in Attack the School, you'll earn Kyle's friend request at the beginning of the quest. The opposite is true of Cartman if you sided with the humans instead. The next day, when you travel to the Elven Kingdom, you'll acquire the friend request you didn't get the previous day. Lemmiwinks - Found on the second floor of the School during the Attack the School quest. He's in the Fifth Grade classroom. Lola - Inside the Post Office. You need at least 40 friends before she'll friend request you. Mayor McDaniels - Located in City Hall. You must complete The Homeless Problem quest to befriend her. Millie - Located behind a pink building in Downtown, beside the Photo Dojo. Bash through a snowman to get at her. Minister of Montreal - Found in the Caverns of Quebec. Save him during the O Canada quest to earn his loyalty. Mom - Found in your house. You'll have to talk to her after first visiting Kupa Keep. Monica - Located in the Park during the quest Pose as Bebe's Boyfriend. Beat up Monica's Boyfriend and she'll friend you. Mr. and Mrs. Tweak - Purchase a Speed Potion Ultra from Mr. Tweak at Tweek Bros. Coffee. Mr. Broflovski - Located outside Kyle's House. You'll only find him there after first gaining entrance to the Elven Kingdom in his backyard. Mr. Hat - Found automatically during Beat Up Clyde!. I won't say where. Mr. Kim - Found in City Wok, in the north of South Park. Complete his quest, Mongolian Beef, to gain the friend request. Mr. Mackey - Found in the Community Center. Complete his side quest to befriend him. Mr. McCormick - Found outside Skeeter's Bar in northwest South Park. Mrs. McCormick - Found in Kenny's House, in the kitchen. Mr. Slave - Found in his house, south of U-Lock-it. Complete the simple quest Mr. Slave's Package to earn the friend request. Mrs. and Mr. Stoch - In Butters' House. She's sitting on the couch, he's standing by the stairs. Mrs. Biggle - Sitting in front of the Post Office. 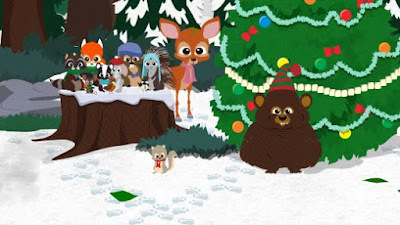 Mrs. Broflovski, Principal Victora, Mr. Garrison, Mr. Adler - Complete the quest PTA Problems. Afterwards, speak to the four PTA members in the Community Center to receive their friend requests. Mrs. Cartman - Typically located in the kitchen of Cartman's House. Speak to her after first entering Kupa Keep to get a friend request. Mrs. Marsh - Found in Tom's Rhinoplasty. Purchase something from her to befriend her. Officer Barbrady - Check out Downtown South Park. Barbrady is standing beside Tom's Rhinoplasty, just north of the Bus Stop. Pete - Look for Clyde's House along the western row of houses (it's brown). Open up the garage and shoot down the ladder to gain access to the garage's small attic space. Pete is up here. Polly Prissypants - Located in Cartman's room, on his bed. Check the doll when Cartman's in the party for the friend request. Priest Maxi, Jesus - Complete the quest Find Jesus. You can trigger it by speaking to Priest Maxi, outside City Hall. Prince of Canada - Found in Ottawa, capital of Canada. Defeat the Bishop of Banff and return to the Prince. He'll befriend you for your efforts. Princess of Canada - Located in Ottawa, but you need to save the Minister of Montreal in the Caverns of Quebec to earn her friend request. Randy - Free Randy during the Alien Abduction quest. Romper Stomper - Located in one of the cells in the Police Station. Check the Locker Room for the Jail Cell Key needed to reach him. Santa - Check the second floor of the Police Station to find the Locker Room. (You'll have to get in via a vent.) Go out the Emergency Exit to find a fire escape; zip up to the alien eye attached to the side of the building and you'll find Santa on the roof. Scott Malkinson - Found in Kupa Keep. You'll gain his friend request automatically. Sergeant Yates - Complete the Nazi Zombie Bounty quest after speaking to the Sergeant in the Police Station. Shelly Marsh - Speak to her in her room after beating her up in the quest The She-Ogre. Skeeter - Found in Skeeter's Bar in northwest South Park. Complete his quest, Rats in the Cellar, to gain this friend request. Stan - Complete the quest The She-Ogre, available when speaking to Stan in the Elven Kingdom. Terrance, Philip - Found in Vancouver, a town on the western side of Canada. You'll get their friend requests after completing their training. Timmy - Complete The Timmy Express quest by finding all of the Fast Travel Flags around South Park. You'll unlock pretty much all of them with ease by following the main storyline and exploring the occasional side street. Token - Found at his house in Dark Meadows. You must complete the Gate Crasher quest to talk to him. Tweek - Found in Tweek Bros. Coffee, in northeast South Park. You have to complete the Hot Coffee quest to earn him as a friend. Underpants Gnome - Go to sleep after the quest Attack the School. Complete the little battle against the Underpants Gnomes to make one appear in your room permanently. Complete the quest Phase 1 for this gnome to earn the friend invite. Wendy, Bebe, Red - Located in the girl's hideout. Complete Recruit the Girls to earn their allegiance automatically.